Hello guys. So here’s what I got. My 95 LT1 is having some ac issues. (I think it is at least) so I gave it a recharge and it blows nice and cold. But the compressor clutch kicks on a lot. Several times a minute. I don’t think this is normal. Is it? So I figured maybe I have a small leak. So I put some dye in it and went to searching for the leak. I found nothing. You can imagine my frustration. I don’t know if this is just the norm for c4’s? Is there a way I can tell if I have a bad compressor clutch or the compressor it’s self? I don’t really want to take it to a shop! Any thoughts on the matter would be greatly appreciated. ..... Is the engine cooling fan coming on with the A/C ? … sounds to me like inadequate air flow through the condenser causing the compressor to cycle on and off via the high pressure switch … if the fan is running , there's a possibility of trash build-up between the condenser and radiator … a refrigerant overcharge can also cause this …..
You've got to put a freon gauge set on it to tell whether you have too much refrigerant or too little! Either one will cause the clutch to cycle like that. And I don't think there's any other way to tell which is which. No trash on it build up on and of the radiator or condinsor. Checked that today. I thought about the gages. Is this a diy or should I just brake down and have it serviced? I don’t want to damage any parts. Its does have an all aluminum triple core radiator? You can borrow the A/C gauge set from Autozone or OReilly (returnable depositor). Instructions are included with the set. Mostly self explanatory but you can throw a question out here to us if it doesn’t make sense. It doesn’t damage anything putting gauges on it. Don’t be afraid of it - save your money. Sounds like you have low Freon pressure. Had a air conditioning gas leak on my '96 LT4 last year. It was leaking from the needle valves where you screw on the pressure gauges or fill bottles. If yours was leaking at the needle valves you may have missed it because the dye would be all over the valve when you put the dye in. I went to Auto Zone and bought the replacement needles, valve caps and small tool to remove the needles. You need to do it quick. There is pressure in the lines so have a rag and the replacement needle valve in hand to quickly swap it out when you unscrew the old one. I got mine in with the pressure blowing out and saved most of the charge that was in the system. Put safety glasses on too. Last edited by TiIngot; 04-10-2019 at 09:54 PM. Thanks Tilngot I will give that a try. I wish I know how often the compressor should kick on. Typically how often. But every 15/20 seconds is def not normal. I had a similar issue last summer and needed to replace the High/Low pressure switch near the Evaporator inlet. Also check for leaking Schrader Valves. Take it to an A/C specialist and get it repaired...the go enjoy it. Please don't just let the freon out into the atmosphere - also don't unscrew the schrader valves. There are special tools for about 20-30$ that allow you to change schrader valves on fully charged systems. I had a bad schrader valve on my jeep - it was weeping slowly. I used the tool to change the valve with the system pressurized. Couple things - if the lines are icing up - that's an indication it's low. Your best bet to do it right is just have it serviced - they will evacuate, and properly recharge without losing all your oil. Dealer isn't your best bet here - a knowledgeable local shop is probably the best. Last edited by Ed Ramberger; 04-11-2019 at 09:28 PM. Thanks for this valuable info! I didn't know such a thing existed. I bought a vacuum pump at Harbor Freight for $80. 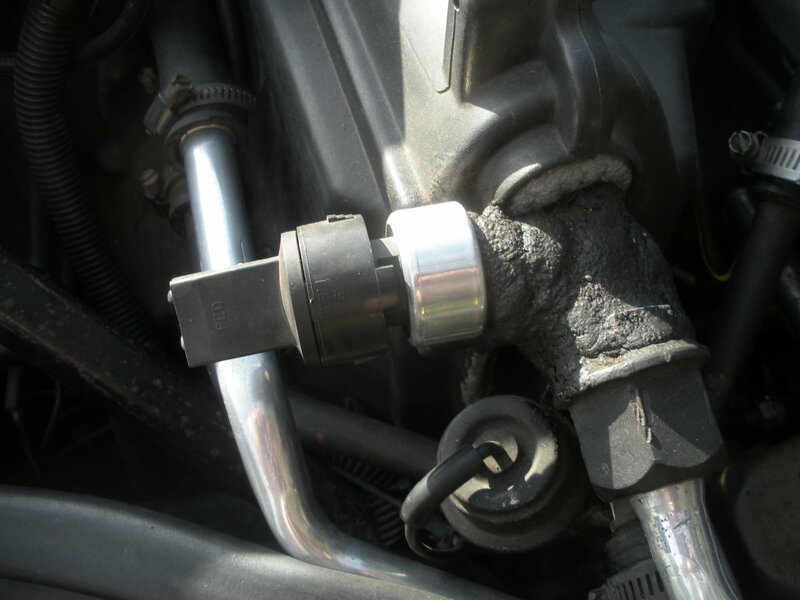 The valve removal tool is the very same as the ones used to remove the valves on cars and Bicycles, you can pick a schrader valve tool at Pep Boys for less than $5. On a charged system the valve will shoot out under pressure if you are not careful. One thing I do is clean the Condenser off with Coil Cleaner designed for AC coil cleaning. The coil cleaner will remove the corrosion on the surface of the aluminum and make it transfer the heat better. I also use it on my aluminum radiator to make it work as well as it can. 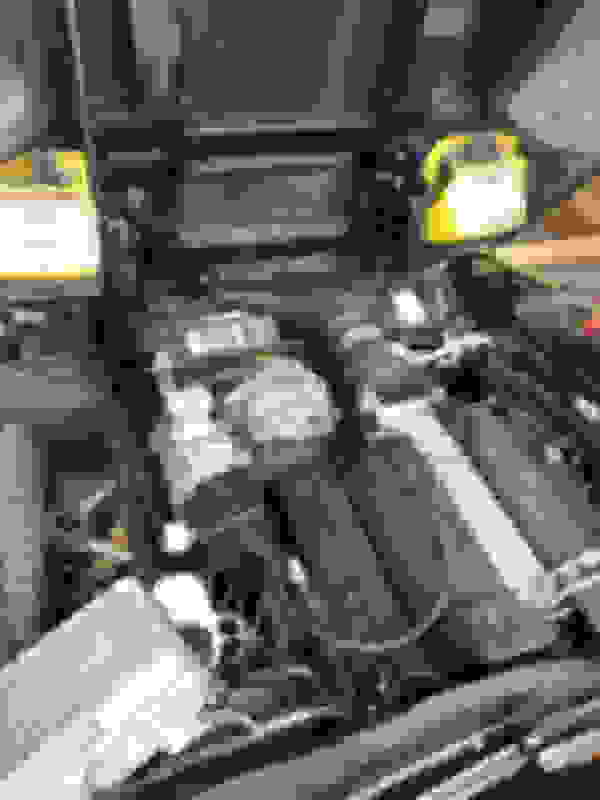 Our 1988 C4 had a slow leak so I had a mechanic remove the FREON and then I took the car home and fixed the leaks and switched over to the newer more available FREON. I left my car holding 28" inches of vacuum for over a week and then charged it up with the FREON and new OIL. Recovering the small amounts of FREON is important here in the United States. I wish the rest of the world felt the same way but alas, they don't. Good Luck with your system, it will get cold again! This is absolutely where to start with a set of gauges. You first check to see if the cycling points are at the right pressures. The low point should be about 22.5 psi is where the switch opens and the cultch releases. Then at around 45 psi the cycling switch should close and re-engage the clutch. Regardless of the amount of Freon in the system, it should cycle at the proper points. 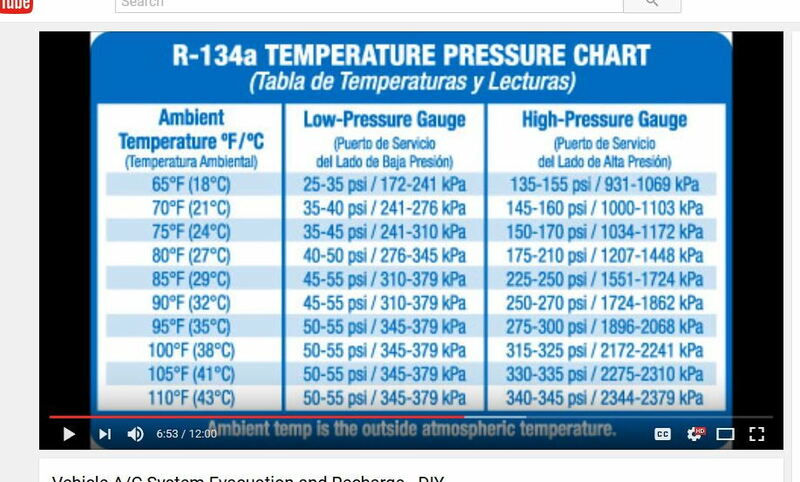 If you are good at these pressures and the numbers are very close, then the cycling switch is OK and you are probably low on Freon. If the numbers are way off and it cycles at 30 or more, then the cycling switch is probably bad. The ambient temperature should be about 70F or above which is nice. Not good to service A/C when its 40, 50 or even 60 outside. Watch some YouTubes on how to interpret the gauges. I had a similar issue last summer and needed to replace the High/Low pressure switch near the Evaporator inlet. 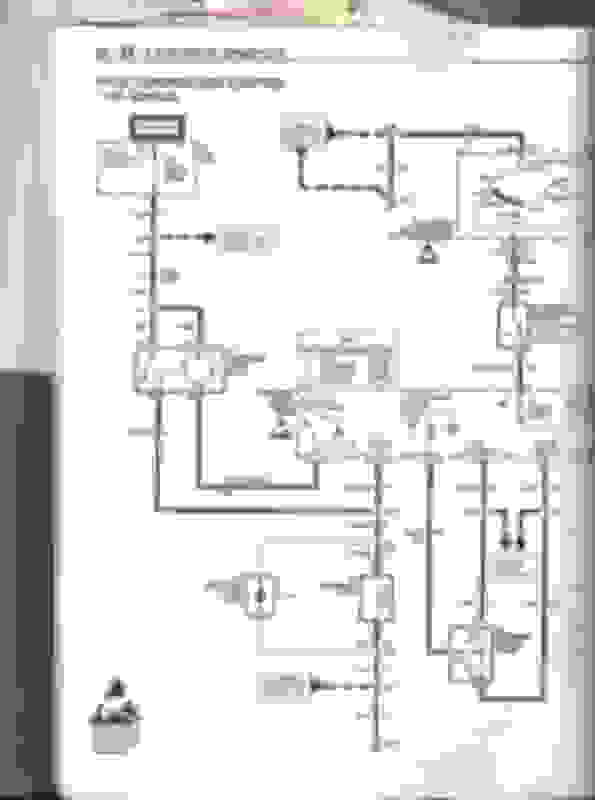 For clarification, the switch near the evaporator inlet is the LOW pressure switch, which is the switch that causes the compressor clutch to cycle when everything is working properly. The HIGH pressure switch is a safety switch, which will only actuate when something has gone wrong with the system, usually a condenser fan failure, overheat situation, or too much refrigerant in the system. The HIGH pressure switch is located somewhere in the high pressure lines on the outlet of the compressor. The high pressure unit is not a switch as the low pressure cycling switch is. The high pressure is a variable resistor or rheostat which produces a voltage dependent on pressure of the high pressure line. The voltage is read by the PCM and has inputs into A/C operation. It can also shut down the compressor if it does not see a pressure change when compressor starts. What year are you referring to? Can you post a diagram of this system? My ALDL connector can't do this test, since there is no such sensor in my a/c system. My system uses a switch to disable the clutch if there is excessive high side pressure . I'm sure about the years 92 to 96. I know the 90 uses the switch setup you talked about. Not sure about the 91 but a guess would be the switch assembly. The 92 and 93 uses the ECM but functionality is the same. Last edited by pcolt94; 04-14-2019 at 10:04 AM.